In keeping with our vocation as educators, and our conviction that digital transformation is embedded in all sectors of society, including early childhood education, we’ve developed various digital education workshops for schools. were the alphabet or rules of grammar. The programming without a computer workshop is one of our most successful in-school initiatives. can become a symbolic language and the importance of precision in programming instructions. Convert real-life activities into INSTRUCTIONS. Learn to CODE using symbols. Understand the importance of PRECISION in programming. Understand the use of functions and parameters. Apply the extension of code, OPEN SOURCE. Define a set of instructions. Write them down, communicate them, carry them out. 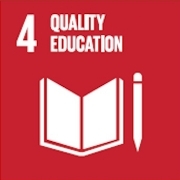 The Coding project contributes to achieve Sustainable Development Goals (SDG), the most ambitious program of its kind launched by the UN in 2015 in an effort to address some of the most urgent global problems facing humanity.